The Tygerbear Foundation is in constant need of clothes, toiletries and food for traumatised families. If you would like to contribute a parcel with clothes, toiletries, etc, please complete the form below or contact us to deliver the items to the Tygerberg Training and Counseling Centre. Please support the foundation by purchasing a Tyger Teddy Bear and receive an adoption certificate for your new friend. These Teddy Bears are bought by TygerBear and sold as part of our ongoing fundrasing initiative. 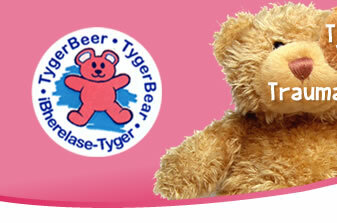 The Tyger-Teddies can be viewed and collected at the TygerBear Training Centre on appointment.